Amelia Louise Ray Watt passed away quietly at her home on Monday, October 19, 2015, following a short illness. She was 79. Born on April 8, 1936, in Red House, NY, she was the daughter of the late Sidney Ray and Marietta Crouse, both of Red House. 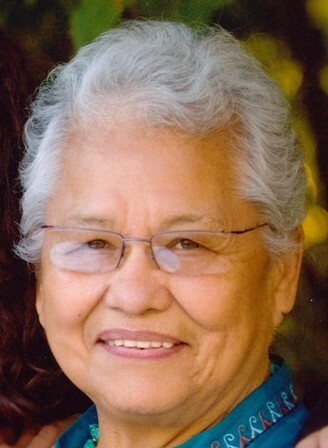 Like both of her parents, Mrs. Watt was an enrolled member of the Seneca Nation of Indians. She was also a member of the Coldspring Longhouse and the Bear Clan. Mrs. Watt is survived by four children: Lisa J. (Joel Munn) Watt of Portland, Oregon; Stephen E. (Rex Bickmore) Watt of Steamburg; Maurice C. Watt of Jimersontown; and Lana K. Watt of Quaker Run. She is also survived by six granddaughters (Naomi Watt, Lynda June (Dustin) Thomas, Raellen Watt, Xanthe John, Keely Watt, and JaiLeigh Watt), 7 great-grandsons, 2 great-granddaughters, and several nieces and nephews. Surviving siblings are Lucy Ray and Duane James Ray, both of Salamanca. She was predeceased by her husband of 43 years, Elwin M. Watt (b. 1928, d. 2003) and by her eldest son Alan F. Watt (b. 1961, d. 2002), both of Salamanca; and by five siblings: Sidney Ray, Jr., Ellsworth Martin Ray, Frank Stephen Ray, Reva Ray, and Virginia “Gina” John. A fluent speaker of the Seneca language, Mrs. Watt worked with the Seneca Nation Language Program as a language teacher and mentor. She was also the first collections registrar of the Seneca-Iroquois National Museum where she worked for many years. Later, she worked at Ferguson Printing and Allegany State Park. She was an avid volunteer for many community and school activities over the years. Mrs. Watt had a wide circle of friends, all of whom she adored and they adored her. She traveled widely and often. She enjoyed watching all types of sports, big family meals, and being with family and friends. Visitation will be at her home at 8219 Old Route 17, Salamanca, NY, beginning Monday (October 19, 2015) evening and continuing all day Tuesday. A Longhouse funeral service will be held at her home on Wednesday, October 21, 2015 beginning at 9 a.m. Burial will be at Hillside Haven Cemetery on Bunker Hill Road in Coldspring, NY immediately following the service. In lieu of flowers, the family suggests charitable contributions to the Seneca-Iroquois National Museum or the Seneca Nation Language Program, both in Salamanca. Funeral arrangements are under the direction of the O’Rourke & O’Rourke Funeral Home, 25 River Street in Salamanca, NY.